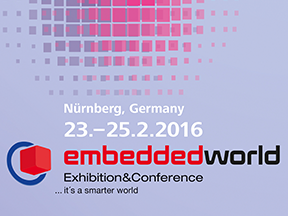 Zeroplus will exhibit at Embedded World February 23rd-25th 2016. We will present our new LAP-F series logic analyzers which have high sample rate, large memory depth, more than 110 built-in protocol decoders, eMMC 5.1/SD 3.0 trigger and protocol decoder capabilities, direct streaming to disk, and much more. Our LAP-F series is first choice for high-speed signal, precise and comprehensive sampling and debugging. Embedded World is the largest exhibition of embedded and industrial computer systems in the world. It offers innovated products, technologies, solutions and is also the best business platform for HW/SW manufacturers and distributors which are relative to embedded systems integration. In the exhibition, almost 100% exhibitors can meet target customers, 90% exhibitors can build relationship with new customers and 89% are decision-maker buyers.